Is there really a new Thyssen humility on the horizon? Nearly a decade has passed since the publication of our controversial, 500-page book on Thyssen („The Thyssen Art Macabre“), following which a large official response was set in motion, the logic for which is sometimes difficult to understand, except perhaps to reaffirm the academic credibility of the Fritz Thyssen Foundation and assuage the Thyssen family’s guilt. Two years ago, the Fritz Thyssen Foundation, with the consent of its board member Georg Thyssen-Bornemisza and the support of the ThyssenKrupp company archives, finally started releasing a series of ten books (anything around 5000 pages in total!) entitled „Family – Enterprises – Public. Thyssen in the 20th Century“. So far, three books have appeared (two of which were doctoral thesis) and were reviewed by us: Donges on the United Steelworks, Urban on Forced Labour and Gramlich on Art. Then, in November 2015, somewhat at odds with the chronology, volume five, „Thyssen in the Adenauer Period. Concern Formation and Family Capitalism“ by Professor Johannes Bähr was issued. The author’s status, track record and purported commitment to transparency in company-commissioned research gave rise to hopes for a genuine, critical analysis of the regaining of power, after World War Two, in Germany, of a family who had been major war profiteers and Hitler supporters. Unfortunately, the book’s almost Disney-style, yet haughty superficiality once again displayed all too obviously the hallmarks of a Thyssen-authorised work. We will thus be postponing our review until the end of the series, not least because another tome, out sometime around 2017 (? ), is set to deal with the „confiscation“ of Fritz Thyssen’s assets during, and their restitution after World War Two, a topic without which volume 5 cannot really be fully appreciated, assuming that anybody out there will have the stamina to actually get that far. The remaining books of the series to be published are on the one hand: Simone Derix, „The Thyssens. Family and Fortune“ and Felix de Taillez, „Fritz and Heinrich Thyssen. Two Bourgeois Lives for the Public“ (both due out in June 2016), whereby the latter title represents an unbelievable turn-around for an organisation which in the past has denied any serious representation of Heinrich Thyssen-Bornemisza, the darkest character of the family, who had the closest bonds – not least through banking – with the evil Nazi regime. And finally, four books, whose publication dates remain so far undisclosed: Jan Schleusener on the „confiscation“ and restitution of Fritz Thyssen’s fortune; Harald Wixforth on the Thyssen-Bornemisza Group 1919-1932; Boris Gehlen on the Thyssen-Bornemisza Group 1932-1947; and Hans Günter Hockerts on the history of the Fritz Thyssen Foundation. 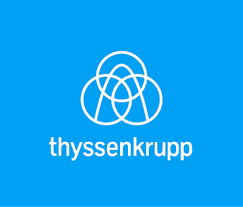 Almost in parallel, ThyssenKrupp (or thyssenkrupp as it is now known, with its new, filigree logo) has seen a major image change campaign taking hold under Heinrich Hiesinger who, since taking over as chief executive in 2011, has been fighting on several fronts against huge deficits from past mismanagement and corruption scandals, as well as the rapid decline of the European steel-making sector. Hiesinger’s programme of streamlining and transparency has been described by Martin Wocher in Handelsblatt as „the end of the era of the self-aggrandising Ruhr barons“ (of which, of course, there have not really been any left for quite some time) and by Bernd Ziesemer in Capital as a „change in culture and mentality“ that is allowing thyssenkrupp to distance itself from the „tradition of corruption“ within the steel industry. But how believable and successful can this fight for the polishing of thyssenkrupp’s tarnished image really be against a background of persistent opacity in the company’s historiography? „The name Habsburg did not dazzle me. I was not overwhelmed by it. I was overwhelmed by my father-in-law, and how he kept the family together. I think the family has come to understand that I have accepted the history of the family and that it has a comfortable [clearly meaning financially comfortable] future through me“. (all quotes approximate from memory). Of course, it is not the Habsburg family history that is difficult to accept. It is the history of her own, the Thyssen family and their industrial and banking endeavours from which her fortune came, that Francesca Thyssen should, in fact, start being sufficiently humble to concern herself with. Thyssen without steel. A symbol of their fast disappearing corporate identity.